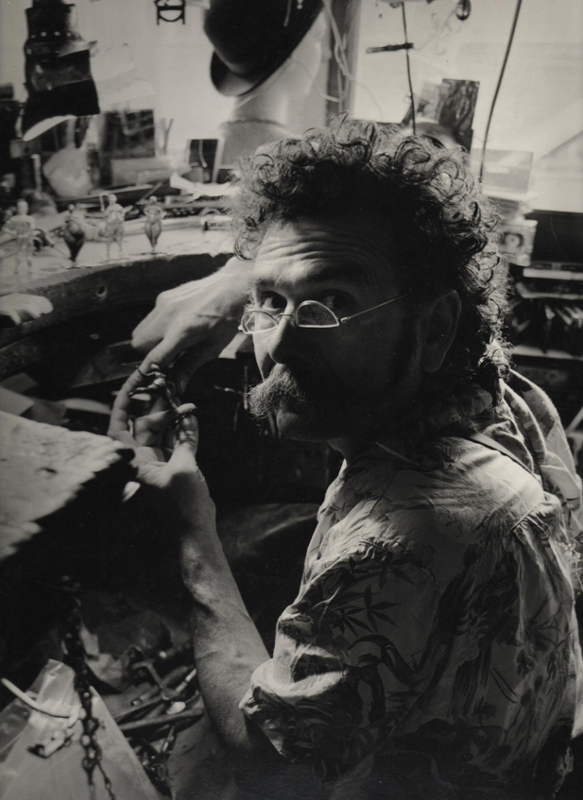 Michael Burton was a talented and prolific silversmith. He trained as a smith at the Sir John Cass College in London, before he returned to Somerset where he lived and worked for the rest of his life. Michael worked predominantly in silver, which he would carve, hammer and pierce by hand at his workbench; he could work any material and produced beautiful pieces in gold, ivory, wood, tagua nut, even titanium. His jewellery showcases an incredible eye for detail, in both scale, form and texture. Larger pieces, including porringers, chalices and trophies, are held in the collections of the British Museum, Victoria & Albert Museum, as well as in the collection of many Cathedrals in England, worn by the wardens of Westminster Abbey; and owned by, among others, HRH the Queen, Marquess of Bath, and the Goldsmiths Company. The subject matter and inspiration of Michael's work was broad and varied; strong themes that emerge are nature, mythical beasts, the medieval period, iconography and his local surroundings in Somerset. This online shop contains a selection of pieces from his collection made in silver, please contact us if you would like something in gold or gold plated. We hope you love each piece as much as we do.